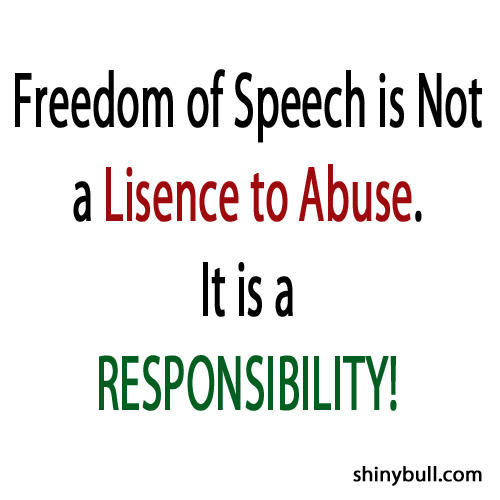 Freedom of speech is NOT a lisence to abuse – It is a responsibility! It started the same day President Donald Trump was inaugurated. The MSM (Mainstream media) showed pictures from the day Trump was inaugurated, but it was only minutes after they opened up for ordinary people. The picture was not packed with people compared to Obama`s inauguration. But people were watching the ceremony, and they aren`t stupid. They know that MSM tried to tell them something FAKE. A bad start for MSM, and this is back in January 2017. It`s a surprise to see that this witch hunt is still going on. They try to bring down Donald Trump. There is no doubt that freedom of speech is understood to be fundamental in a democracy, and it has always been like that. It is thought that ancient Athens` democratic ideology of free speech may have emerged in the late 6th or early 5th century BC. The values of the Roman Republic included freedom of speech and freedom of religion. Concepts of freedom of speech can be found in early human rights documents. England`s bill of Rights 1680 legally established the constitutional right of `freedom of speech in Parliament` which is still in effect. The free communication of ides and opinions is one of the most precious of the right of man. Every citizen may, accordingly, speak, write, and print with freedom, but shall be responsible for such abuses of this freedom as shall be defined by law. MSM is acting like a little child. They lie and produce fake news and claim they have freedom of speech. President Trump is attacking FAKE NEWS. Not the free press or freedom of speech. On Thursday, more than 360 newspapers coordinated an attack on Trump. They said: Stop the war on a free press, Journalists are not the enemy and so on. 360 editors together against one man reminds me of Gang Stalking mentality which is not good at all. Trump tweeted that the «Fake News Media» is the Opposition Party. You have freedom of speech, but shall be responsible for such abuses of this freedom. I was watching the U.S President Donald Trump`s much anticipated debut address to Congress on February 28. A speech that was big on rhetoric and I think investors will need to wait for any tax cuts and infrastructure investments. In his one hour speech, there was one thing that was mind-blowing to the listeners. Nearly everyone in Capitol Hill said: Wowww to Trumps innovation. President Donald Trump is in war with the MSM and in his speech he said the U.S must support law enforcement and victims of crime, adding it will provide a voice to people ignored by the media and silenced by special interests. Trump have ordered the Department of Homeland Security to create an office to save American victims, and the office is called: VOICE (Victims of immigration Crime Engagement). After announcing the initiative on Tuesday, you could hear people in Capitol Hill were surprised. The new office will publish a weekly list of all crimes committed by immigrants, which means people with or without U.S documents could find their names on the list. 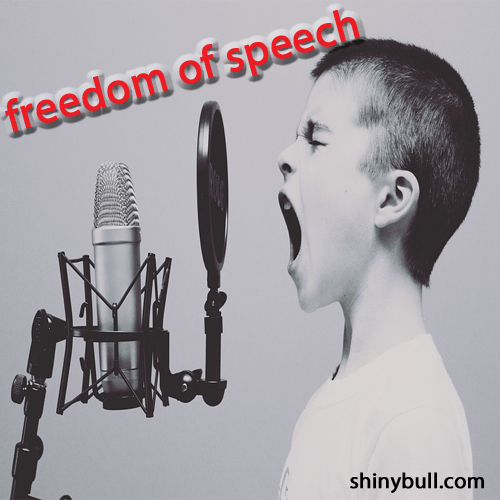 Freedom of speech is understood to be fundamental in a democracy, and it’s not something new. It is thought that ancient Athens’ democratic ideology of free speech may have emerged in the late 6th or early 5th century BC. Concepts of freedom of speech can be found in early human rights documents. England`s Bill of Rights 1689 legally established the constitutional right of ‘freedom of speech in Parliament’ which is still in effect. This leads us back to Paris and Charlie Hebdo. A French satirical weekly newspaper that features cartoons, reports, polemics and jokes. The publication is irrelevant and stridently non-conformist in tone, is strongly secularist, nonreligious, and left-wing. They had a lot of fun with nearly everybody like athletes, Kings, Presidents, religions and pop stars to name a few. The cartoonists didnt just mock President Nicolas Sarkozy and Francois Hollandes politics. They also regularly amplified their sexual appetites and diminished their sexual appurtenances. Its offices have been firebombed, Facebook page suspended for 24 hours and its website hacked. They were attacked by Al-Qaedas Islamist terrorist group because they where kidding with the prophet Muhammed. Cartoonist Stèphane “Charb” Charbonnier, murdered in the attack on the magazine, had been the editor-in chief of Charlie Hebdo since 2009. Two years before the attack he stated: “We have to carry on until Islam has been rendered as banal as Catholicism.” In 2013, al-Qaeda added him to its most wanted list. We have also seen how the MSM tried to bring President Donald Trump down to the ground especially before the election. Now, they are trying to figure out a new campaign to try to get rid of him. Is all this funny things responsibility?